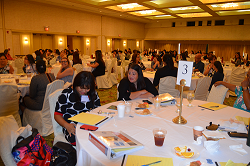 The 2016 Notary Conference was held on September 7-8, 2016, at the Pacific Star Hotel located in Tumon, Guam. 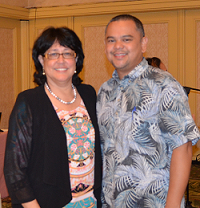 Guam's Attorney General, the Honorable Elizabeth Barrett-Anderson (Attorney General Barrett-Anderson), hosted the 2-day conference. The attendees included: Guam notaries public; personnel from the Office of the Attorney General of Guam; special guest speaker, the Honorable Senator Dennis G. Rodriguez, Jr. of the 33rd Guam Legislature (Senator Rodriguez). The topics covered included: Strengthening Guam’s Notary Program; Remedies and Liabilities; Notary Basics; Journal and Seal; Certificates and Authentication; Bonding; Notary Law Updates presented by Senator Rodriguez; Introduction of the New National Notary Association (NNA) Webinar Training presented by NNA via teleconference. 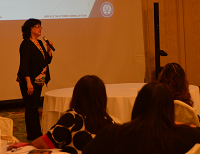 The Notary Conference was held as part of the Attorney General's commitment to revitalize the Office of the Attorney General's support of Guam notaries public and to provide the latest notary information and resources. Attorney General Barrett-Anderson was awarded the 1994 Achievement Award by the National Association of Notary Public for her modernization of the Guam's Notary Laws when she was previously appointed Attorney General of Guam from 1987-1994. Upon her election as Attorney General of Guam in 2014, Attorney General Barrett-Anderson committed to re-strengthening Guam's Notary community and garnered support from Senator Rodriguez. 2. Fill out and submit the generated form. 3. After completing steps 1 & 2, an email will be sent within two business days containing username and password, which will allow you to log in and begin the course! © 2018 The Attorney General of Guam. All rights reserved.